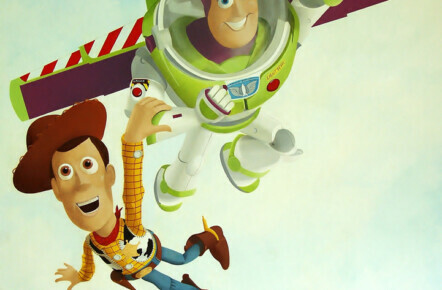 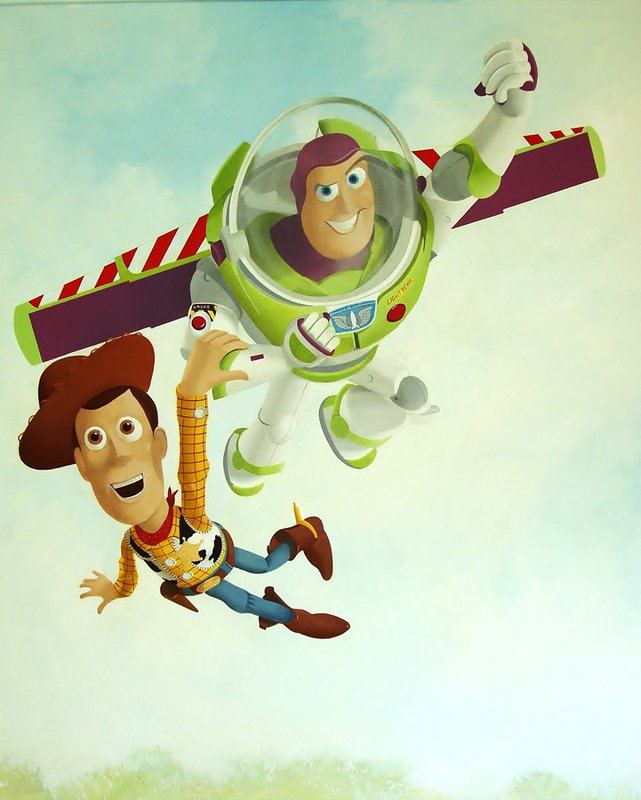 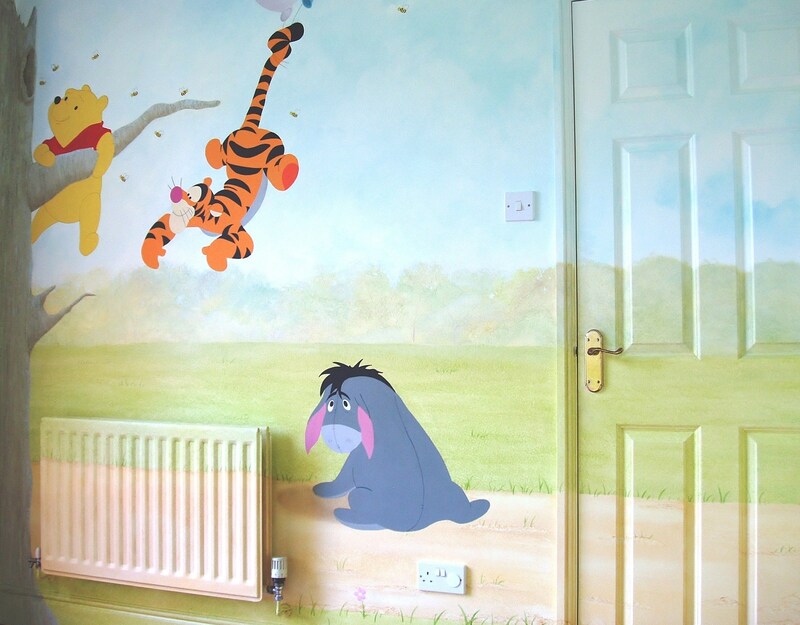 This hand painted ‘Toy Story’ mural was created for a little girls playroom. 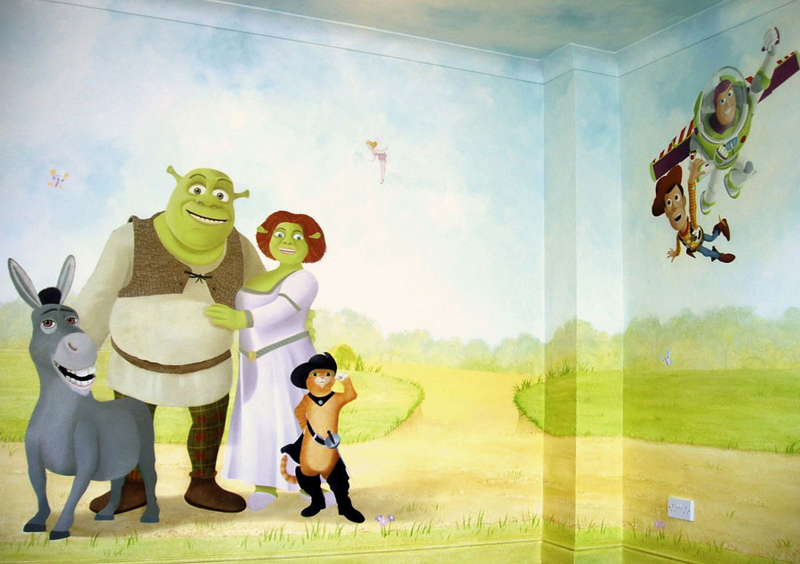 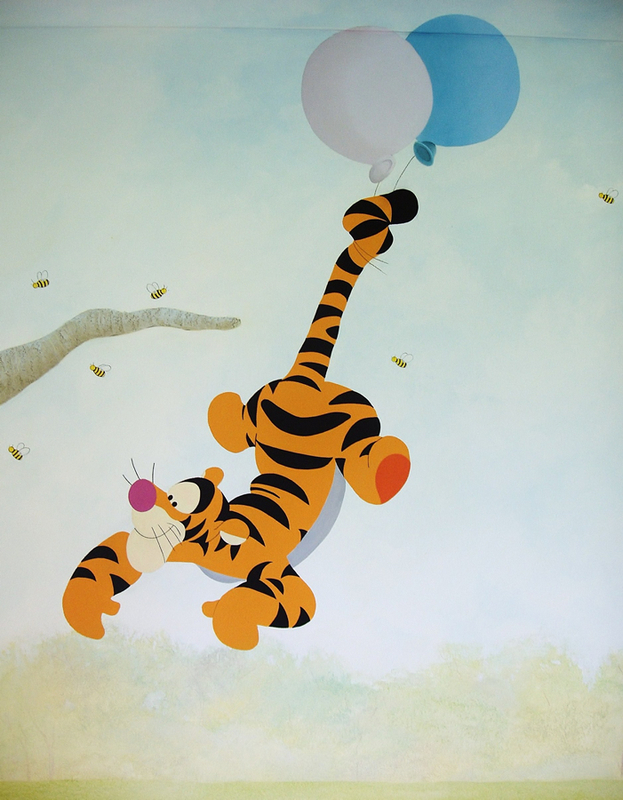 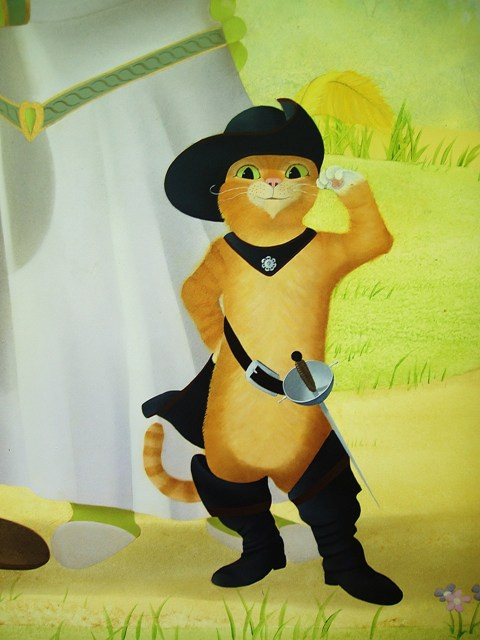 The mural included many of her favourite characters from well known books and films. 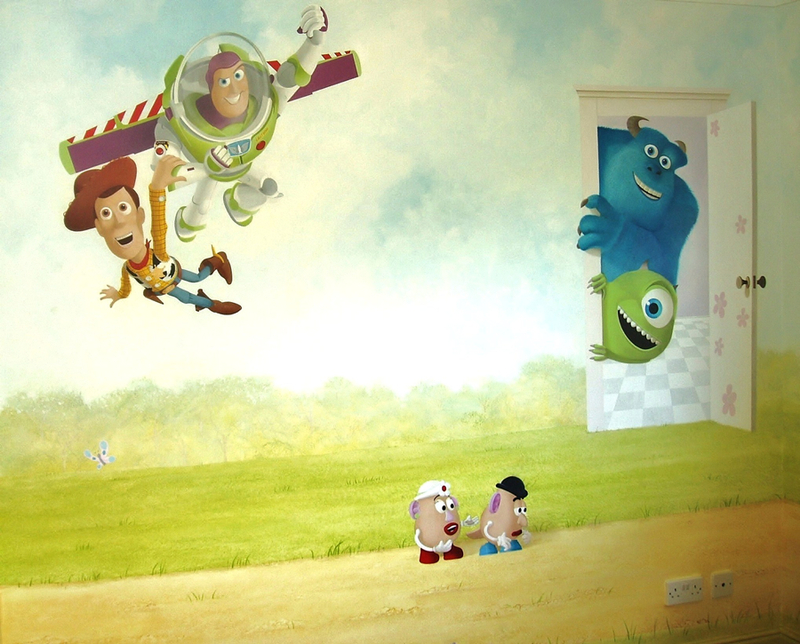 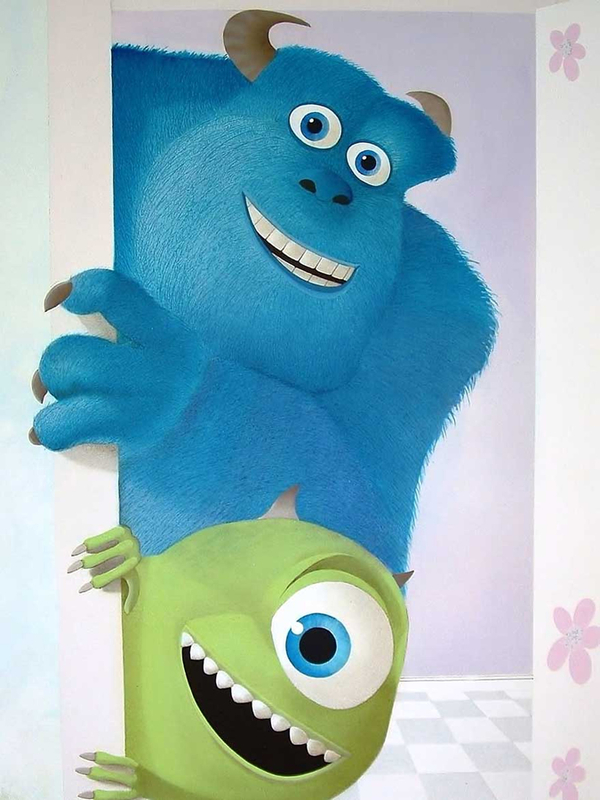 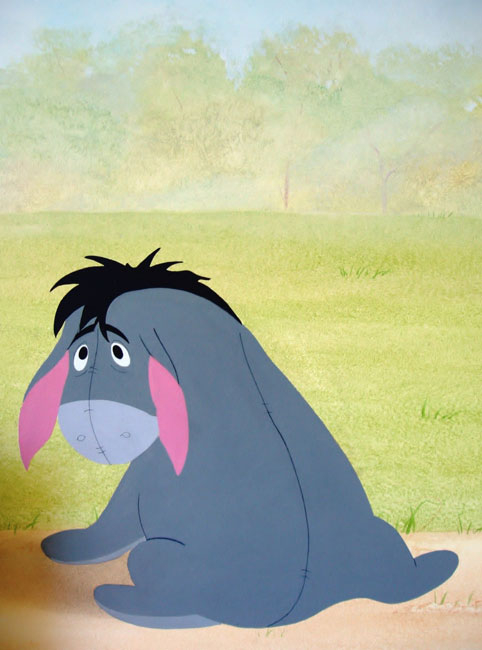 Alongside the ‘Toy Story’ charachters were characters from Shrek, Monsters Inc. and Winnie the Pooh. 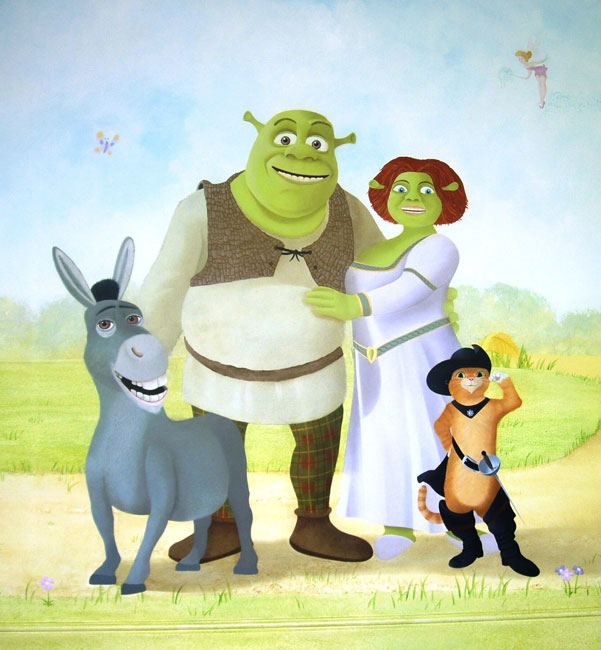 Each character was hand painted in great detail, with the whole theme being brought together with the same subtle countryside and cloudy sky background.